Another one for the category – why didn’t I do this before! 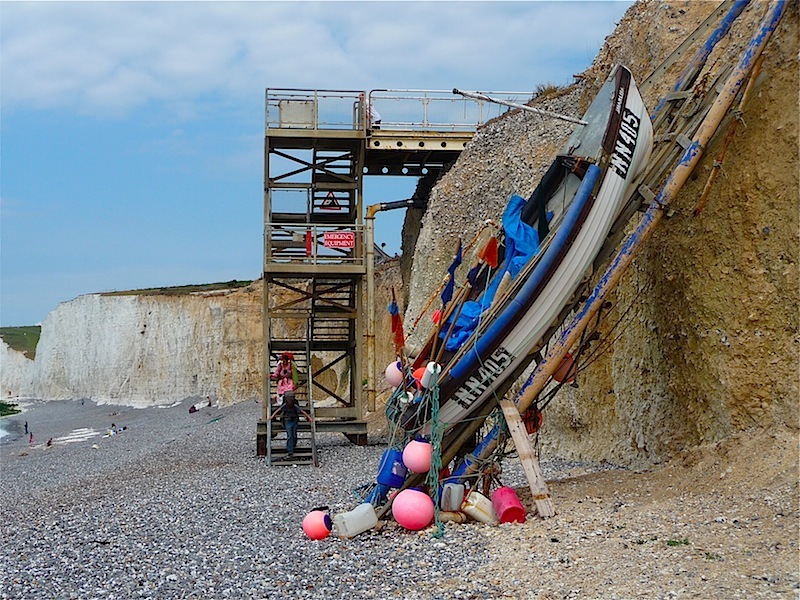 I started off at Birling Gap where you reach the beach via a staircase. 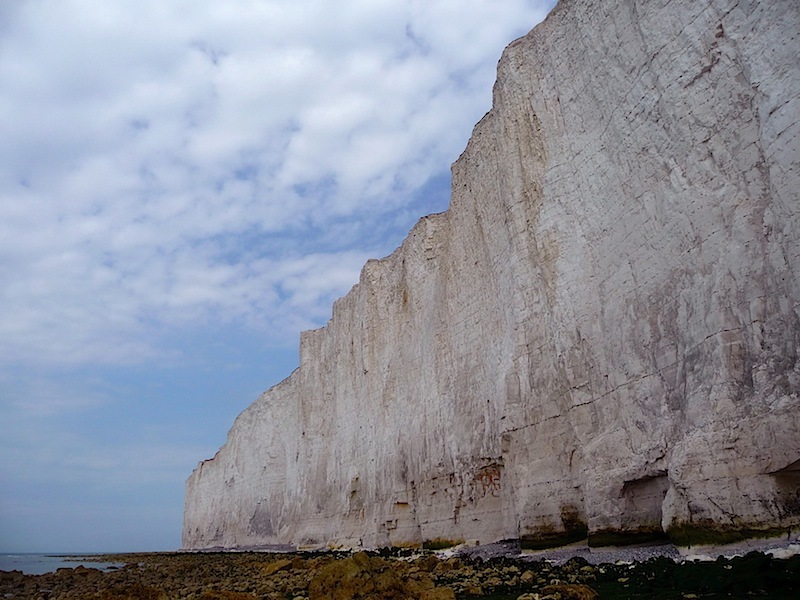 I walked along the beach beneath the shear white chalk cliffs along the coast towards Beachy Head. I nearly made it as far as the lighthouse but the tide was coming in and I didn’t fancy becoming this evenings local news by getting trapped! 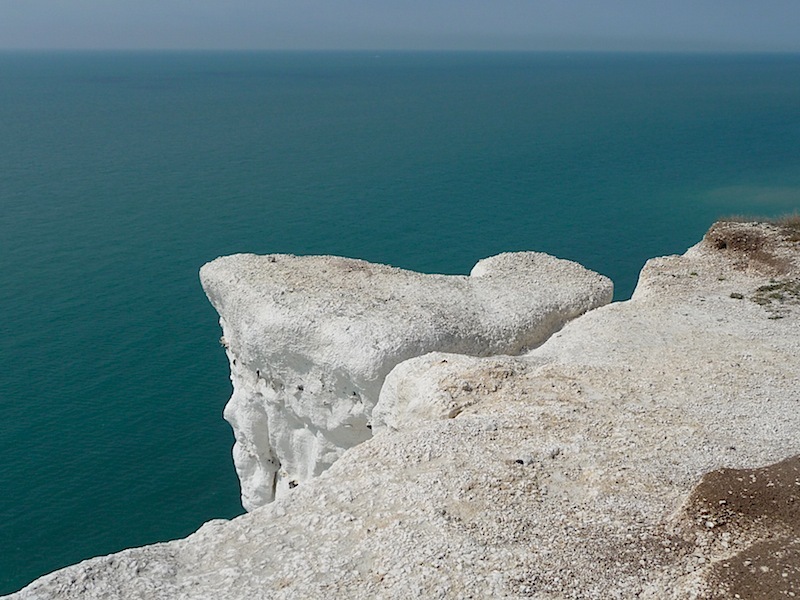 So I back tracked and walked along the top of the cliffs instead. 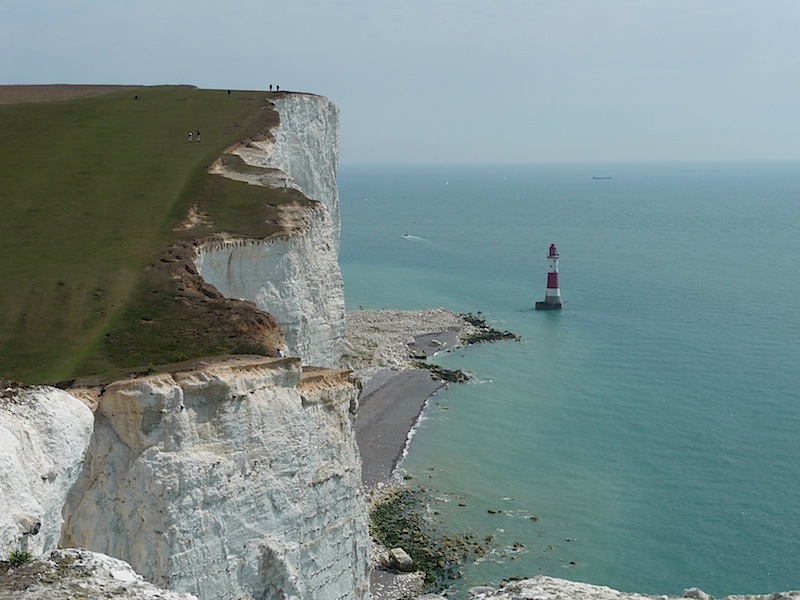 This is definitely not for vertigo sufferers – It’s a fairly easy walk across smooth grass which extends to the very edge of the cliffs. 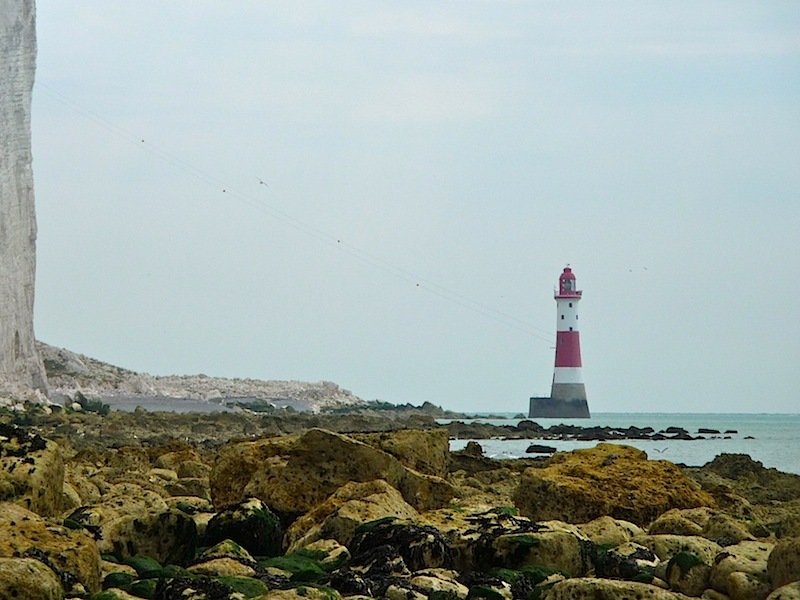 The cliffs are eroding at a rate of up to a meter a year – I think this is the next piece to go.